Wonderfully complex & bold, Virago Four-Port Rum opens with notes of vanilla & spice, leading to cascading waves of fig, dried coconut, & crème brûlée, culminating in a pleasantly lingering, smoky finish. 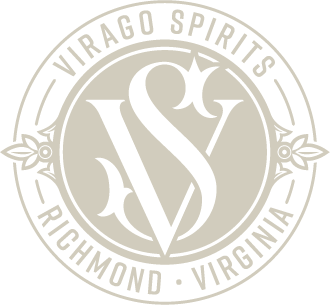 Virago Four-Port Rum is a blend of pot- and column-distilled rums, aged up to 8 years, from Barbados, Jamaica, Nicaragua, and Panama. A premium, aged blend, Virago Four-Port Rum harmoniously balances the bold spice and earthy funk of British-style rums with the softer, more seductive profile of Spanish-style rums.